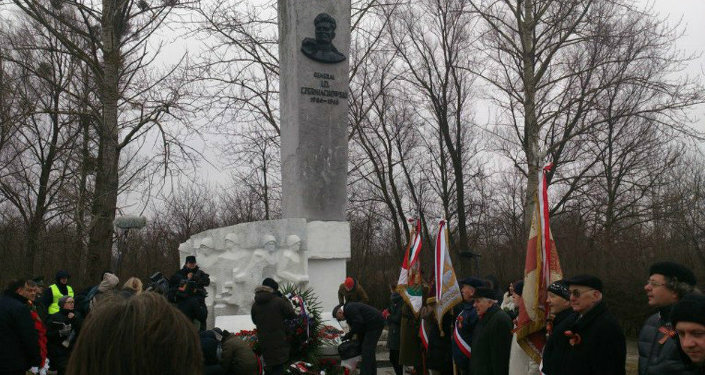 While the Polish government is preparing to demolish 500 monuments devoted to the memory of Soviet soldiers who died liberating Poland from the Nazi invaders, another disturbing historic episode comes to mind – the story of tens of thousands of Soviet prisoners of war tormented in Polish captivity back in the 1920s. Warsaw is attempting to rewrite Poland's history by dismantling hundreds of monuments devoted to the Soviet Army soldiers and their Polish counterparts who died heroically liberating Poland from the Nazi invaders. This Orwellian-style approach aimed at controlling and manipulating the past has repeatedly proven ineffective, "for nothing is secret that will not be revealed, nor anything hidden that will not be known and come to light." However, it seems that Warsaw prefers to remain in denial of the invaluable contribution of the Soviet Army to the country's liberation. And it is not the only historic episode related to Soviet Russian soldiers the Polish government is trying to sweep under the rug. It is well documented that thousands of Soviet Red Army prisoners of war (POWs) died from hunger, torture and mistreatment in Polish "death camps" back in the 1920s. "Death camp" is actually the phrase used by Polish Colonel Ignacy Matuszewski, who described the deplorable conditions in Polish detention centers in his report to First Marshall of Poland Jozef Pilsudsky, on February 1, 1922. On March 18, 1921 Poland, Soviet Russia and Soviet Ukraine inked the Treaty of Riga that brought the Polish-Soviet War, unleashed by Warsaw back in 1919, to an end. Jozef Pilsudski's military adventurism resulted in the seizure of substantial portions of Belorussian and Ukrainian lands by Poland. In fact, Pilsudski dreamt of expanding the territory of Poland — the Second Rzeczpospolita — from the Baltic Sea to the Black Sea, so far restoring the frontiers of the Polish-Lithuanian Commonwealth, also known as the First Rzeczpospolita. It sounds as absurd as if modern-day Great Britain decided to regain control over its former North American colonies. However, Soviet Russia and its allied republics — Soviet Ukraine and Belarus — lay in ruins, exhausted by the Civil War and ongoing foreign intervention. In light of this, Warsaw leapt at the chance to fulfill its militarist plans, receiving at the time significant aid from France. The terms of the Treaty of Riga were unsatisfactory to both sides, Canadian historian Michael Jabara Carley writes in his book "Silent Conflict: A Hidden History of Early Soviet-Western Relations." "Pilsudski had not won Kiev or the 1772 frontiers, and he gained less territory in the east than he had possessed at the start of his April offensive. On the other hand, Soviet Russia had suffered a calamitous defeat… and had to concede large territories occupied by majority Belorussian and Ukrainian populations," Professor Carley underscored. Polish Controversy: How Accurate Were Ambassador Andreyev's Comments? Indeed, Poland seized a territory of over 200,000 square kilometers with only 15 percent of the ethnic Polish population. However, the Polish government had long been harboring plans to bite off more territories from the USSR and had no scruples about sharing its aspirations with Nazi Germany in the late 1930s. "I spoke to M. Beck [Polish Foreign Minister] once more about the policy to be pursued by Poland and Germany towards the Soviet Union and in this connection… again proposed Polish-German collaboration in this field" Nazi Foreign Minister Joachim von Ribbentrop wrote in January 1939. "M. Beck made no secret of the fact that Poland had aspirations directed toward the Soviet Ukraine and a connection with the Black Sea," Ribbentrop stressed (Documents on German Foreign Policy, 1918-1945, Series D. Vol. V, No.126, pp. 167-168). These "from sea to sea" plans never came true, as Nazi Germany occupied Poland in September 1939. 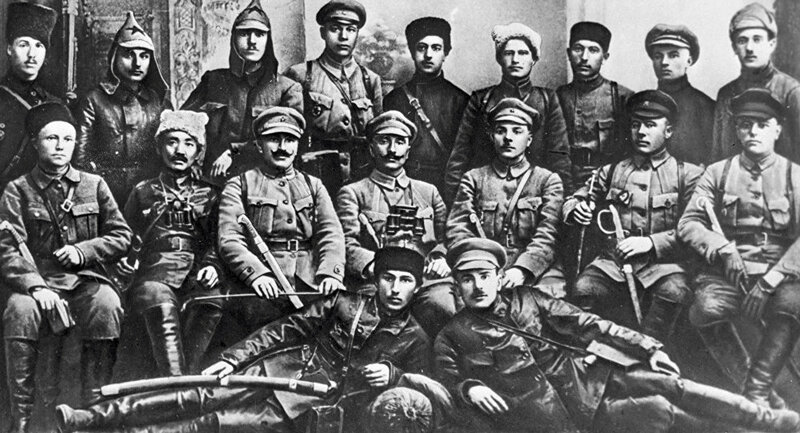 Commenting on the issue of Red Army POWs taken prisoner by Poland between February 1919 and October 1920, Russian historian Oleg Nazarov notes in his recent article for Literaturnaya Gazeta ("Literary Newspaper") that the Polish Army captured at least 206,877 Red Army soldiers. Nazarov underscores that the figure is the result of scrupulous examination of Poland's Central Military Archive (CAW) documents, carried out by Professor Gennady F. Matveyev of Moscow State University. Citing Matveyev, the Russian historian stresses that from 60,000 to 83,500 Red Army POWs died in almost seventeen Polish concentration camps being subjected to torture and humiliation. Like Matuszewski, Nazarov refers to these detention centers as "death camps," and with reason. The inhumane treatment of Soviet prisoners — who died by thousands due to unbearable living conditions, poor nutrition, torture and disease — by Polish authorities was registered by Soviet and foreign journalists as well as representatives of the international Red Cross organization. Nazarov quoted Red Army soldier V.V. Valuyev who escaped Polish captivity. Valuyev, captured by the Polish Army among other Soviet troops on August 18, 1920, recalled that the Polish military took away their uniforms, and severely beat those prisoners who protested against it; a Soviet Commissar was executed by Poles in front of other Red Army soldiers. Then the POWs were sent to Tuchola concentration camp. The injured were placed in barracks flooded with other wounded Soviet captives. The Tuchola camp's authorities had not been treating injured Russian prisoners for weeks; as a result, their wounds were rotting and swarming with maggots. Up to thirty captives died each day in the camp. 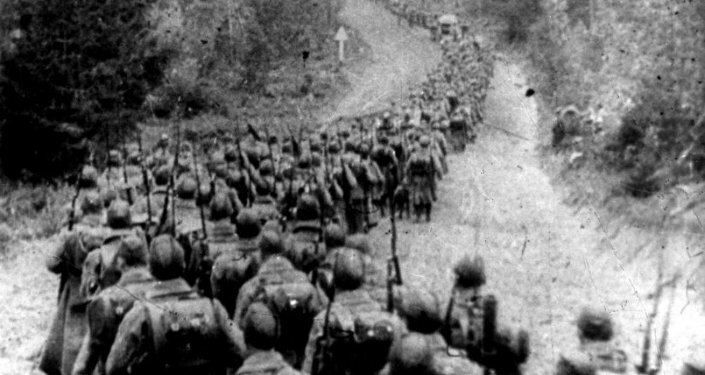 Another hideous episode was documented by Polish military servicemen which transported about three thousand Red Army POWs from Kovel (modern-day Ukraine) to the Polish city of Pulawy. Exhausted and starving, the Soviet soldiers had not been fed for five days. Upon arrival at Pulawy they could barely walk. Those who were able to get out of railroad cars rushed toward the corpse of a horse lying near the rails and started eating its flesh. This and other facts are described in the compendium "Red Army Soldiers in the Polish Captivity in 1919-1922" (Krasnoarmeitsy v polskom plenu v 1919-1922 gg.) published by Russian and Polish researchers in 2004. The authenticity of these documents is beyond question. Polish scientists are making attempts to understate the number of victims: Polish historian Zbigniew Klemens Karpus and his counterparts claim that "only" 18,000 Soviet detainees died in Polish concentration camps, while Col. Matuszewski's report shows otherwise. "…Especially in the camp of Tuchola… about 22 thousand Red Army men died," Matuszewski reported on February 1, 1922. Instead of rewriting history and wiping out bad and good memories, the nations should take it at face value. 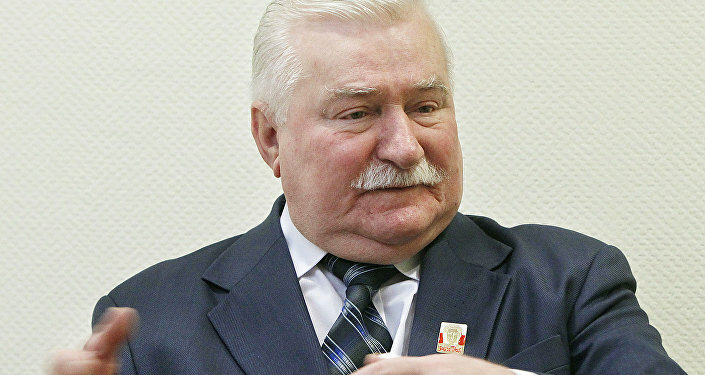 "It is necessary to fully resolve all the difficult issues… It is painfully necessary to find out everything and move forward," former Polish president Lech Walesa told RIA Novosti in November 2015.